We have lots of beautiful pieces to match a wide range of themes. 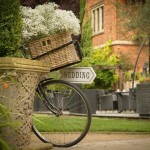 deliver them to you or we can dress your venue for you - the choice is yours. 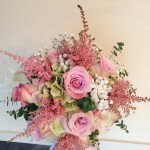 Wedding flower arrangements We offer venue and bridal flower arrangements Come and talk to us about your ideas - we can offer a full venue styling service all in one place! 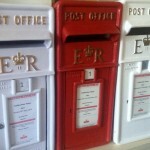 Some of our most popular props include: Gramophone, vintage suitcases, butcher’s bike, typewriter, sewing machine, step ladders and an old school desk & chair, replica E.R post boxes, crates - See our gallery for more. 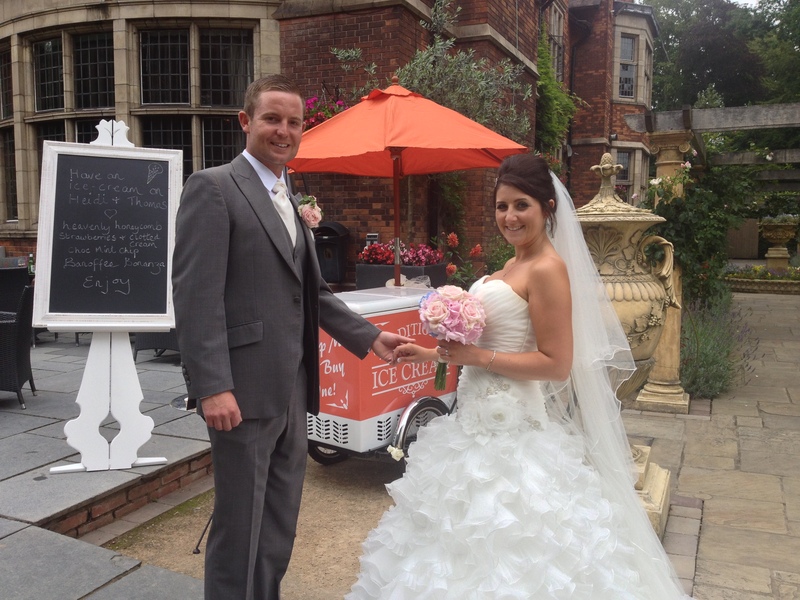 One scoop or two - wow your guests with our vintage style ice cream trike. Hire includes one or two trained attendants, serving award-winning ice cream. With more than 26 flavours to choose from, our trike never fails to impress. Available for a full day or hourly. 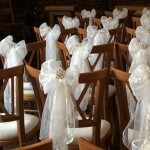 We have loose or stretch chair covers and organza, silk, taffeta or hessian sashes. We can make your chairs look beautiful whatever your theme or colour. We stock hand made sashes and use different styling methods that add that 'something different' to your chairs. We can add brooches or buckles if you want to add a bit of glamour to your seats. Seat your guests in style, with one of our imaginative table plans. We have large wall/easel-mountable birdcages, vintage suitcase plans and pretty fabric-covered boards. 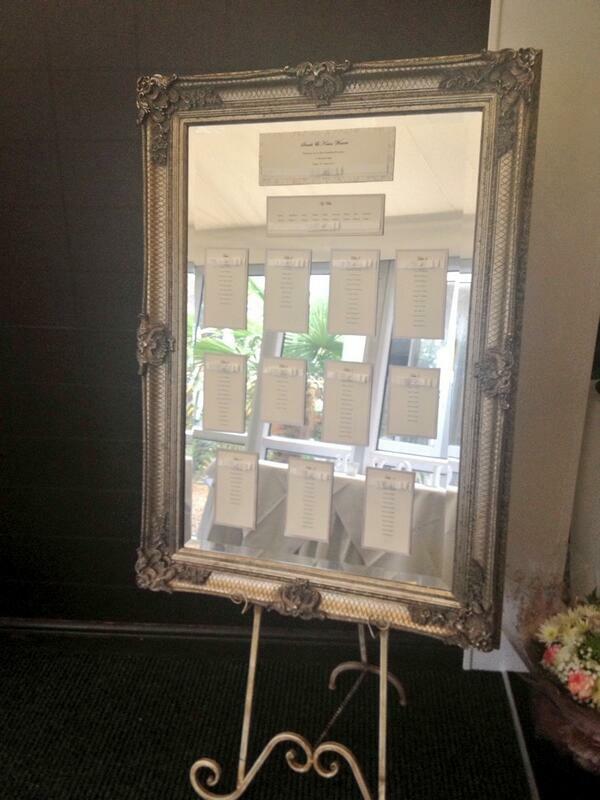 We also have ornate mirror frames and a simple but very effective chalkboard. 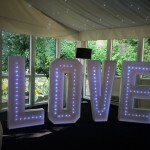 Whatever your theme, we have lots of creative ideas to help you to point your guests in the right direction. We have some lovely decorative easels that go nicely with our table plans. We have lots of finishing touches to create dazzling tables. 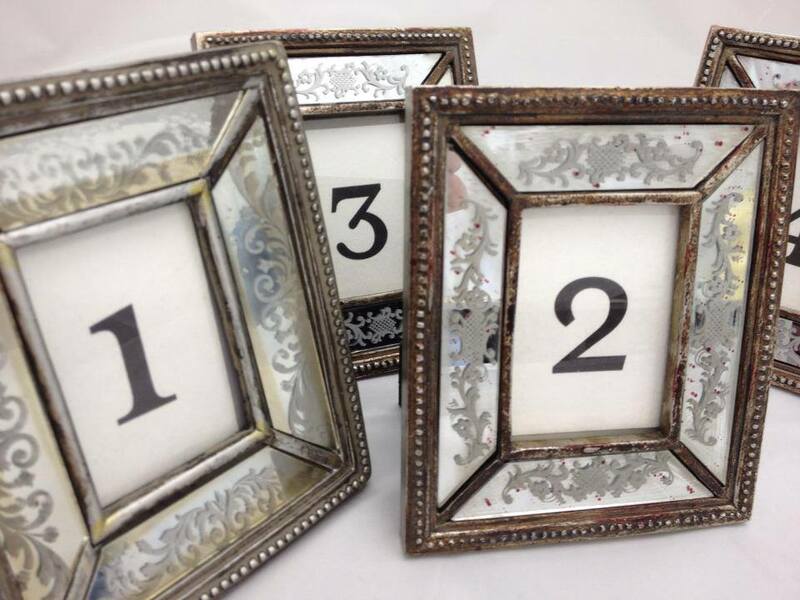 Our collection includes mirror plates, table numbers, place card holders, diamond napkin rings and ornate picture frames, which are perfect for menus. We also have scatter crystals and artificial petals. 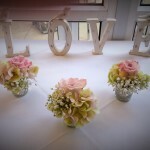 Whether your theme is glamorous or rustic, vintage or modern, we have centrepieces to bring it all together. We can provide bird cages, candelabras, tall conical vases, martini & lily vases, bubble bowls, milk churns, vintage jugs, log slices and even some very stylish-looking buckets. 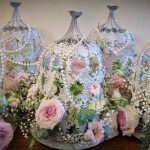 We have lots of stunning extras to complete the look you have imagined, including large wish trees, crystal garlands, a striking birdcage mirror, an extra-large birdcage for cards/wedding post, wooden signs, pretty tea-light holders, bunting, wooden crates, pretty jugs, bottles and glassware. Check out our gallery for more. 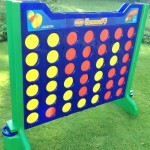 Lawn games are a great way of entertaining your guests. Young or old, competitive or simply fun loving, it brings everyone together at your special occasion. 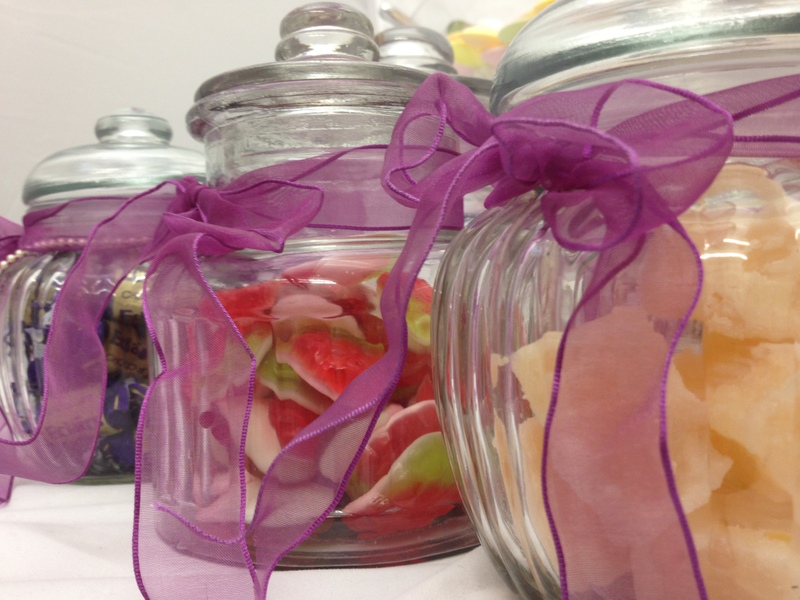 We can create a stunning candy buffet at your venue, with vintage or modern style glassware and labels or ribbons and lace to match your colour scheme. We can provide the sweets or if you prefer to do it yourself, we are happy to provide the glassware. We also have an impressive Candy wheel that stands at an impressive 5 feet tall! Choose the colours of the buckets to match your colour scheme. Can be hired with or without sweets - choice is yours.